Every nonprofit has a mission or a statement of purpose. It communicates the organization’s reason for existence and public benefit. Discussions and decisions are framed by the mission. The best are distinctive, memorable and easy to recite. While the mission can stand alone, there are five documents that easily build upon and enhance the impact of the organization. Sequencing is the process of combining things in a particular order. For instance launching a rocket to the moon requires the exact sequencing for success. In an organization the mission is the platform to build upon. You develop other tools and documents based on the mission, such as the elevator speech and a member ROI statement. It is just a few sentences that include the mission, description of the membership, founding information, and major goals of the organization. Create the elevator speech in a discussion with the board identifying what they think is important to concisely communicate. The plan serves as the roadmap or GPS (goals, priorities and strategies) for 3 to 5 years. Members should be informed the organization’s goals. It can be summarized in a brochure or on a business card. Keep it on the board table and at committee meetings. It will answer, “What does the association do for me?” Include it in member solicitations and renewals. 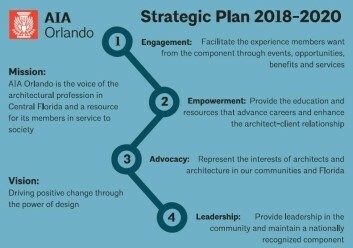 AIA Orlando initially distributed its plan to members as a postcard. Create an infographic that depicts the impact of the association. Find data that impresses stakeholders. For example, size of the community, number of employees, taxes paid, voting strength, investments, milestones and successes. Members want to know their association has influence. Design it as a page or two, avoiding a lengthy report of statistics and paragraphs that require deciphering. Provide members and prospects with a tool for determining return on investment. Before joining or renewing stakeholders ask, “Do I need to belong? What is the ROI?” Consider an online value calculator such as those created by the Texas Medical Association and the Florida Nursery Growers and Landscape Association. Communicate progress with a visual report using graphics such as gauges and meters. An updated dashboard at board meetings improves understanding of what’s important to measure and monitor. 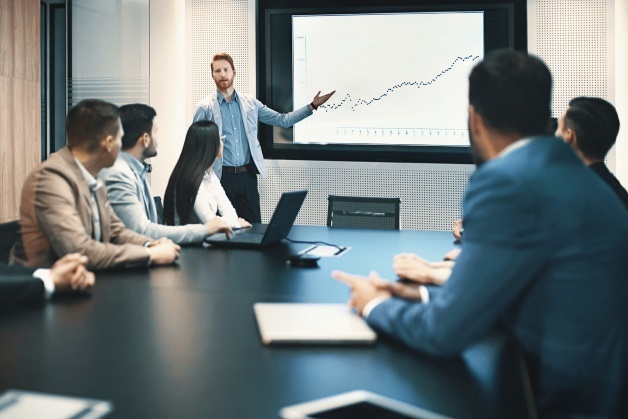 Dashboards allow the board to identify gaps and trends at a single glance, while tying successes back to the strategic plan. Everything is built upon a good mission statement. Develop the tools and documents to improve organizational impact.